35 years of optical measurement expertise has allowed HF scientific to become a leader in regulatory reporting turbidimeters. The HF scientific MicroTOL Online Turbidimeter has been specifically designed to meet regulations of the EPA and ISO 7027. Features include fast and easy calibration, verification in seconds, low maintenance, fail safe design which ensures your instrument is always reading accurately, bubble rejection system, automatic continuous ultrasonic autoclean system (except MicroTOL #2 & #5 models), and a data acquisition software system that allows logging and data storage for multiple turbidimeters. User selectable features and innovative design sets the new CLX Online Residual Oxidant and Chlorine Monitor apart from the competition. 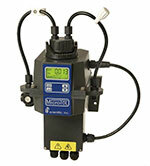 Cycle times that are adjustable from 110 seconds to 10 minutes, 4-20mA and Modbus outputs that can control feed pumps and user settable alarms equates to low operating and maintenance costs. A new flow through design maintains cuvette cleanliness and allows for viewing of optical operations. The strong, shatterproof case that opens to facilitate reagent replacement also allows easy access to all service functions which reduces maintenance time. 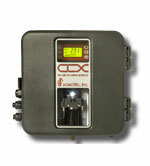 Unattended operation and low chemical usage equates to low operating cost. With over 30 years of optical design expertise HF scientific has developed the AccUView Online UV % Transmission Analyzer specifically for drinking water disinfection monitoring. Engineered using leading edge microprocessor technology the AccUView is the most reliable and cost efficient instrument for monitoring the %transmission of a UV Disinfection System for drinking water. Standard features include simple calibration procedures, a bubble rejection system and an Ultrasonic Cleaning System designed to reduce operator maintenance time. 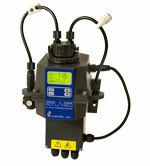 The MicroTSCM Streaming Current Monitor establishes a new level of control for plant operators that depend on Streaming Current to maintain water quality. 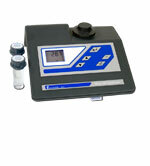 Unlike other systems, the MicroTSCM can be calibrated to a known Ion Charge unit (ICu) value, using a cationic polymer solution. 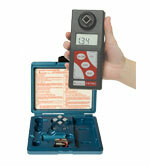 Once calibrated, the operator can use the MicroTSCM to determine the control set-point for the plant. This set-point is established through optimization and it reflects the actual ICu of the sample stream. Establishing an actual ICu value for the control set-point ensures the operator can always return to the same conditions in the event of a plant upset, equipment failure, or shut down. Routine calibration ensures that the integrity of the output can be maintained by compensating for standard wear-and-tear on the probe and electronics. The graphical display of the MicroTSCM monitor provides the operator a fast and easy way to keep up with what is going on inside the plant. Historical trending of readings over the previous 8 or 24-hour period is continuously displayed as a graph on the screen. The sensor design incorporated into the MicroTSCM was developed to operate under the most turbid conditions. 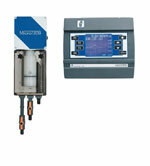 The HF MicroTSCM monitor, coupled with leading-edge sensor technology provides an easy-to-use tool for precise control over your chemical dosing system. With over 30 years of optical design technology expertise HF scientific has developed its 4th generation Wastewater UV %Transmission Analyzer specifically for the harsh environment of wastewater applications. 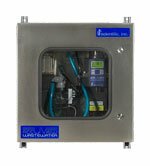 The AccUView Wastewater is manufactured using advanced technology, a NEMA 4X Stainless Steel Enclosure and revolutionary ultrasonic technology making it the most reliable, maintenance free and cost efficient UV %T Analyzer for Wastewater. The Auto Clean Ultrasonic Cleaning System continuously cleans the optical chamber providing a maintenance free reliable measurement.